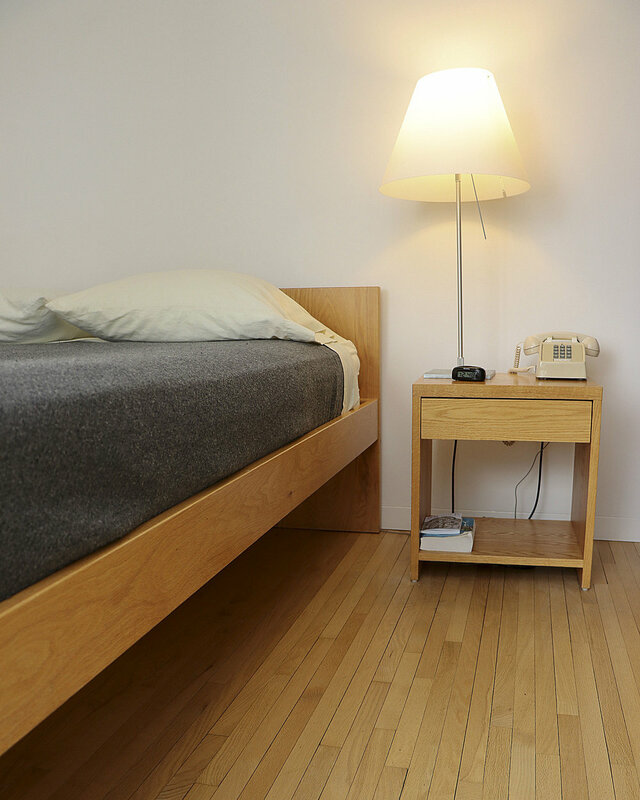 Saint Benedict's Rule notes that a monastery is never without guests. 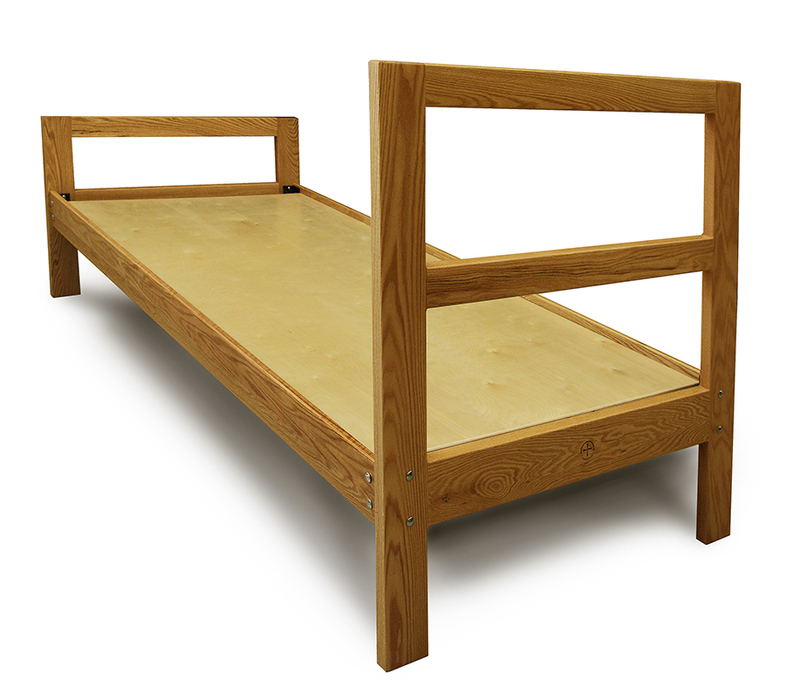 The Guesthouse Bed makes sure that the many guests to Saint John's rest well while away from home. 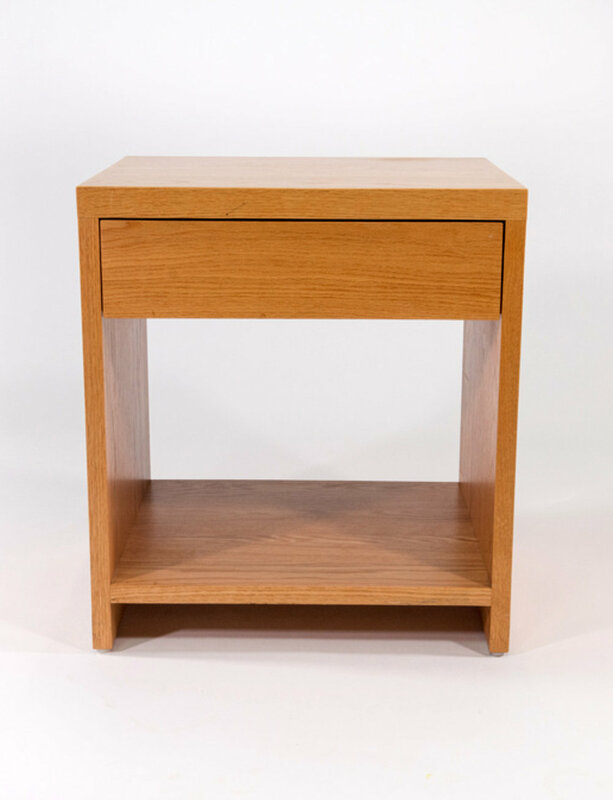 Complimenting the Guesthouse Bed, this nightstand is a functional necessity in any bedroom. 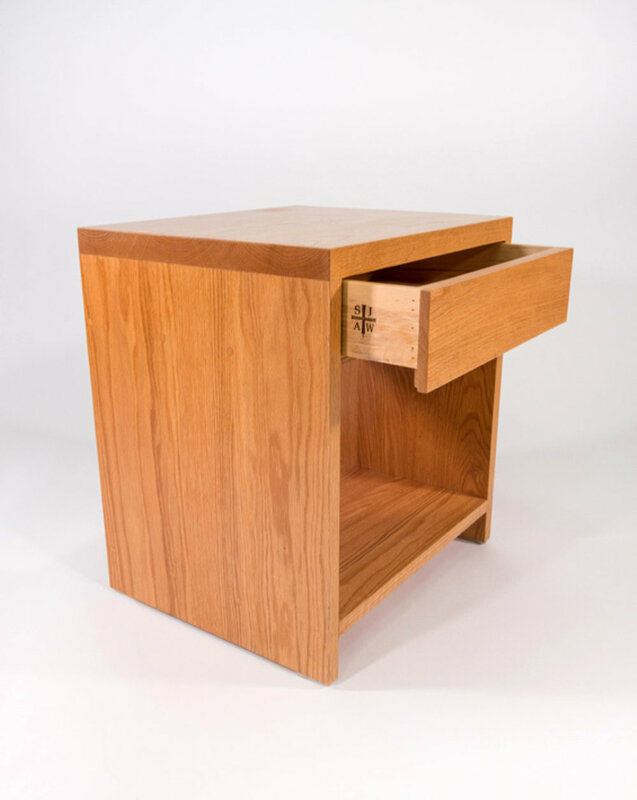 Opening of the drawer reveals a lasered detail. 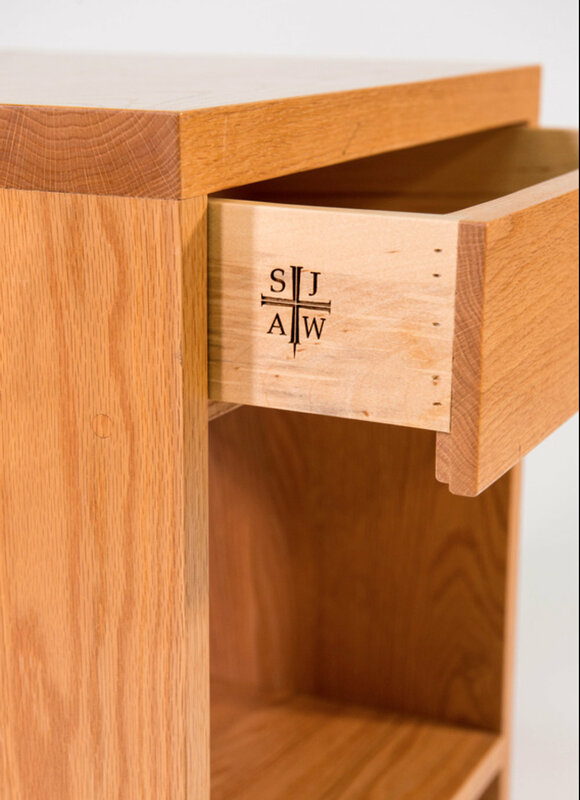 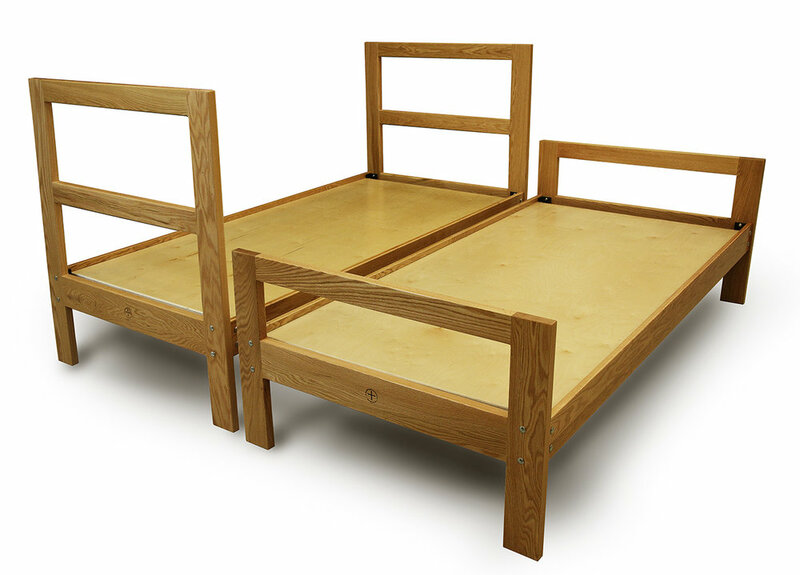 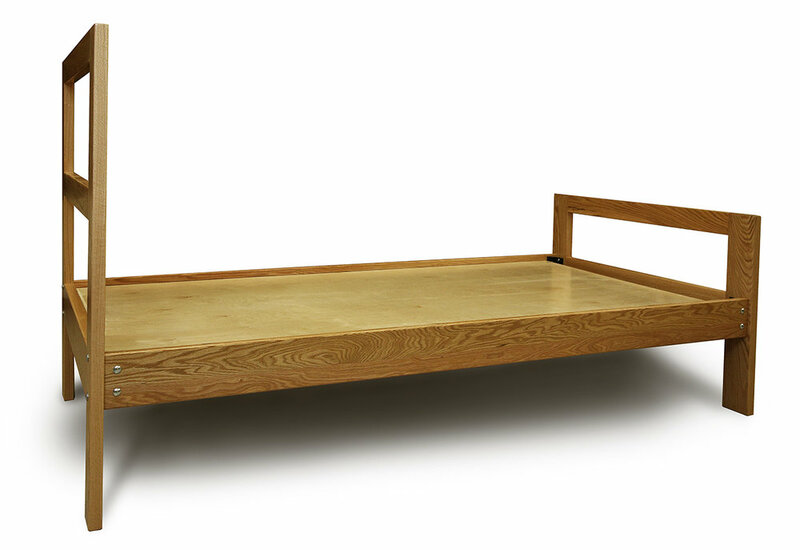 Most of our furniture utilizes the mortise and tenon joint for its strength, but we named this bed after this famous joint because it has withstood generations of use by Saint John's students. 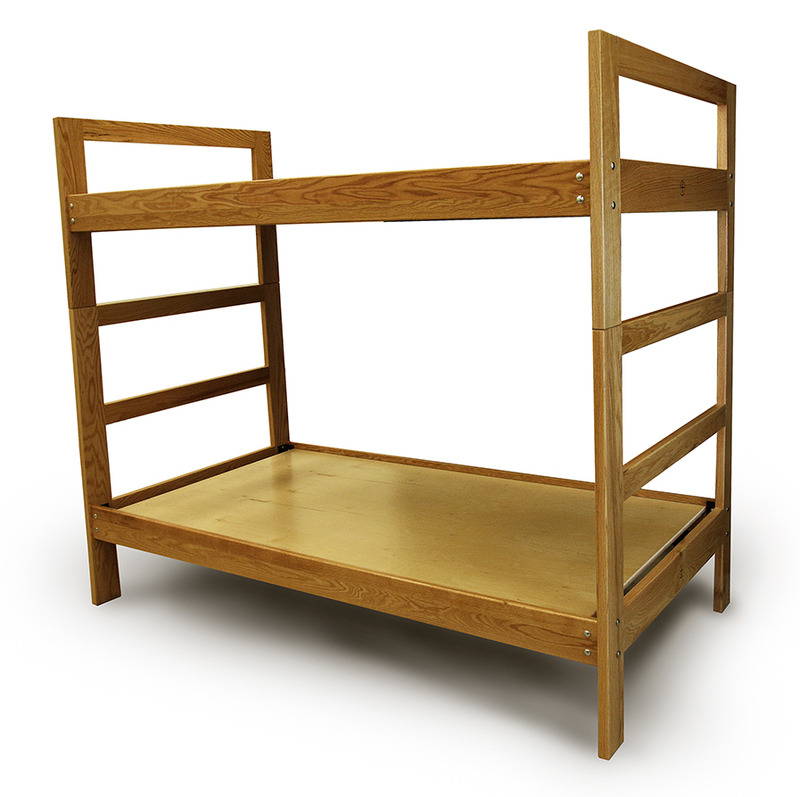 Bunk beds are a great use of space, however, not everyone wants to sleep on the top bunk. 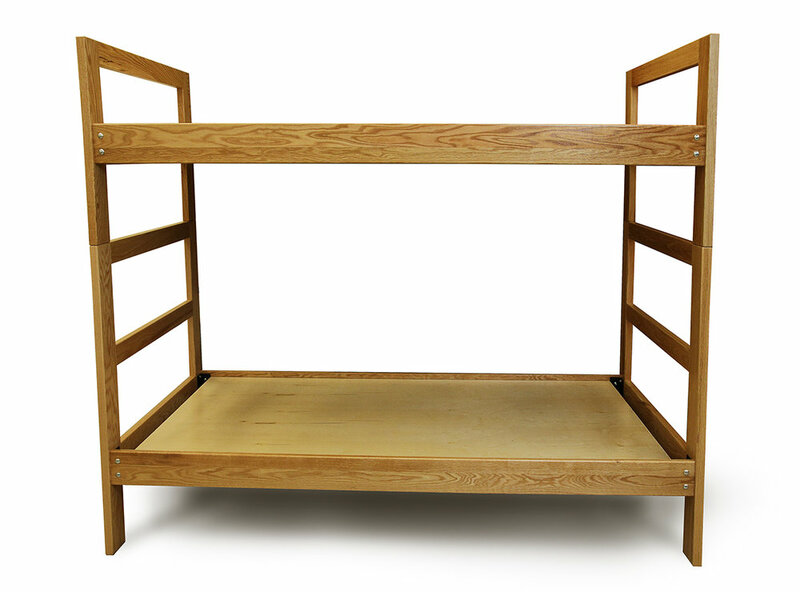 Therefore, we made our Bunk Bed with the option of being "de"bunked in a flash. 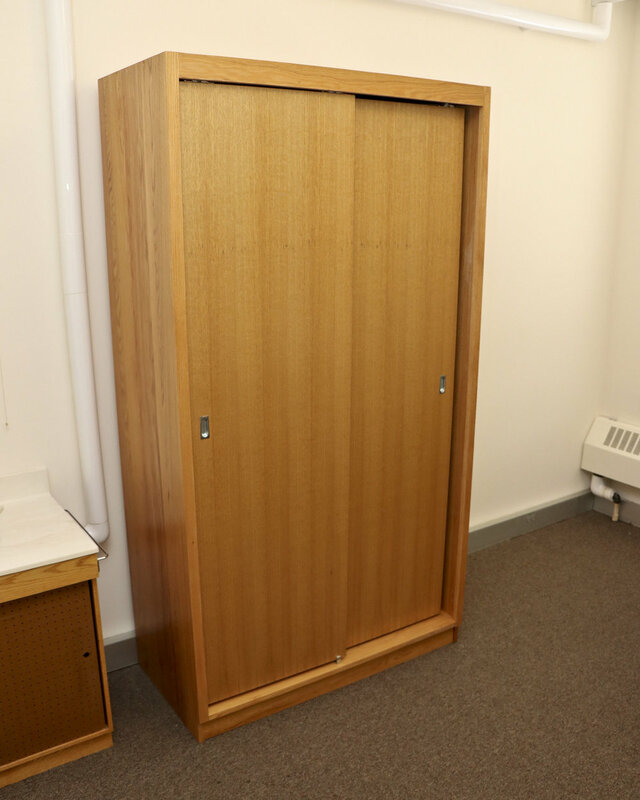 The classic panel construction of this wardrobe is not only functional, but a beautiful addition to any room. 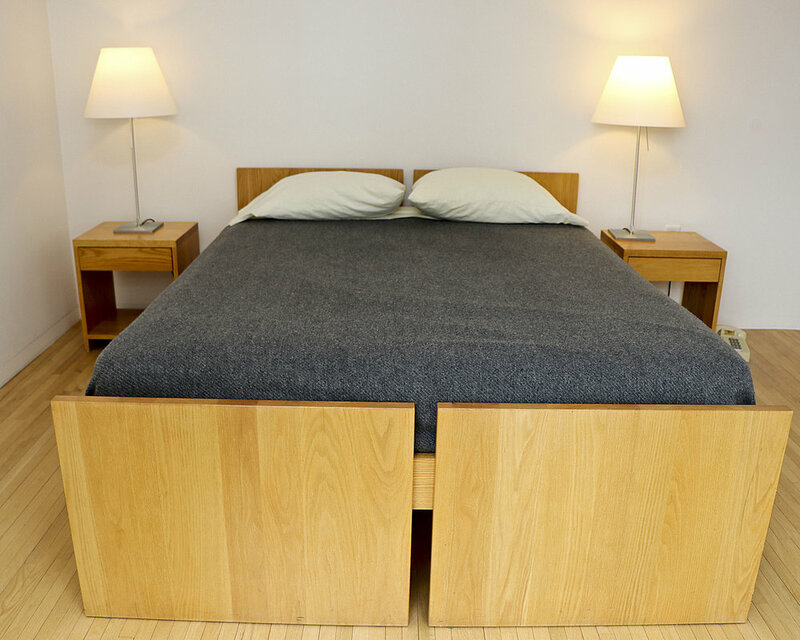 Sometimes doors get in the way. 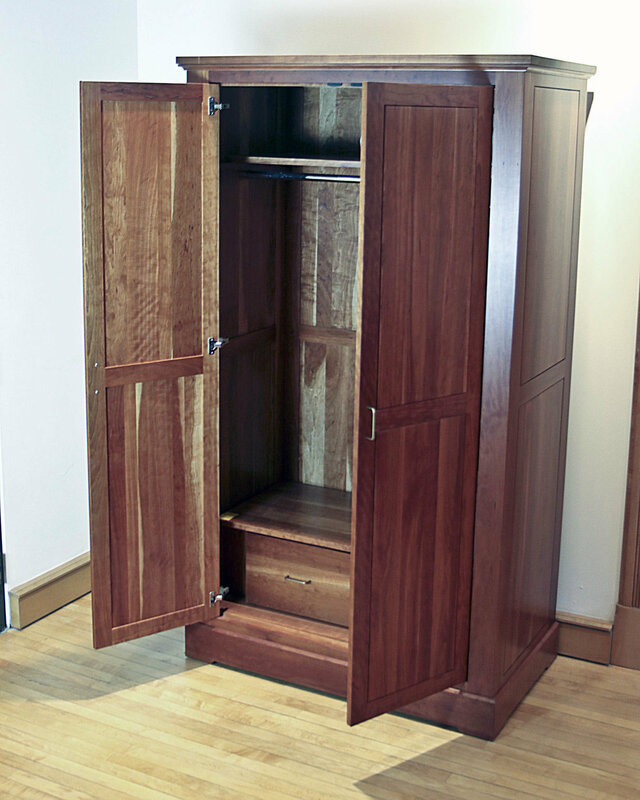 This wardrobe allows for easy access to hangers while revealing the beauty of the handcrafted panels inside.